The updates were announced today on the official Skype blog. Skype is a popular cross platform application that lets users make video and voice calls over internet as well as send Instant Messages to each other. 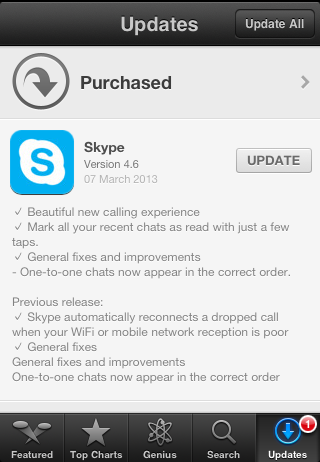 Skype 4.6 can be installed on any iPhone, iPod Touch, iPad and iPad Mini running iOS 5 or above.